After much hemming and hawing over the big rent vs. sell decision, we made the decision last week to sell (or at least, attempt to sell) our first home! You know, the one with the cool kitchen and the ostrich bathroom? You know, the house that unlocked this little DIY/decorator heart of mine? Sigh. 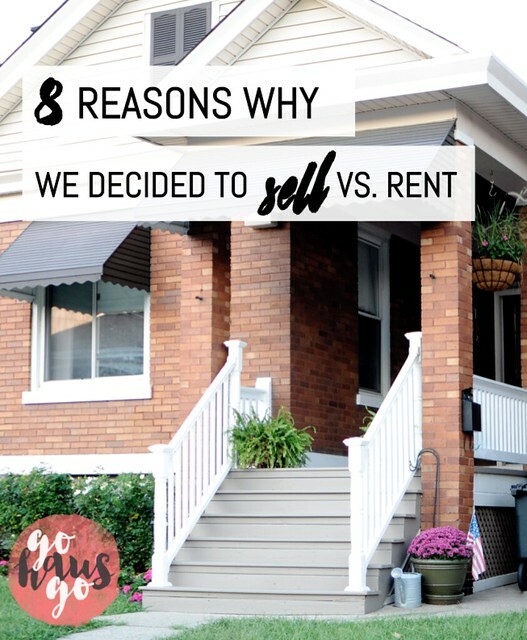 It was a tough decision to make, but here are all the reasons why we decided to list our home for sale versus rent it out. I know many people face this type of decision at some point in their lives, so I’m hoping this post can be another piece of info you can add to your bank of knowledge as you set out on a similar adventure. OK, so here are all the reasons why we’ve decided to list our home for sale. The house has been a rental for the last two years, so we’ve lived the landlord life for that period of time. And while we were blessed with an amazing renter (seriously, it couldn’t have worked out better!! ), the surprise phone calls and maintenance needs were tough on our already hectic lives and schedules. I hated that feeling of being on pins and needles… wincing when a text came through. It all comes down to control. As a type A freak who plans out everything and tries to accommodate every possible future obstacle, I still could not nail down the needs of a house we do not live in. Many friends suggested a property manager, but it was not a smart financial move for us given the profit margin was super slim anyways. When I bought the place in 2008, the interest rate on the mortgage was at a then-low 5.5%. The biggest mistake we made with this house is that we did not refinance to the 3.5-4% rates that exist today before we moved out. And now that the property is not owner occupied, the terms of refinancing became much more strict. For us in the state of Kentucky, we had to have much more equity in the home than we do to refinance. And dear Lord, I am SO TIRED of paying 5.5% interest rate. We would have to stay the course about 3 more years, or pay down with a big wad of cash and neither of hose options sound great. We made a ton of aesthetic updates to the house over time. 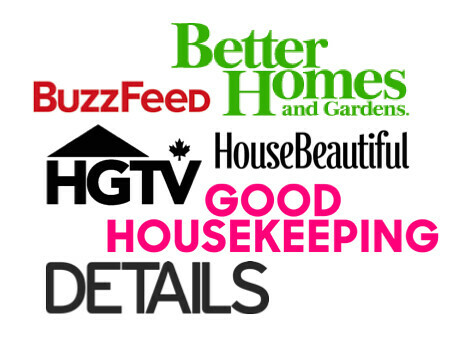 Many of them happened in 2014—new kitchen, new box gutters, updated bathroom and modernized exterior. The longer we wait to sell, the greater the chance that these updates will become outdated. Say it stays a rental for the next 10 years. All of those things will need a refresh should we decide to sell at that time. And that kills me! I don’t want our hard work to be lost in a rental. 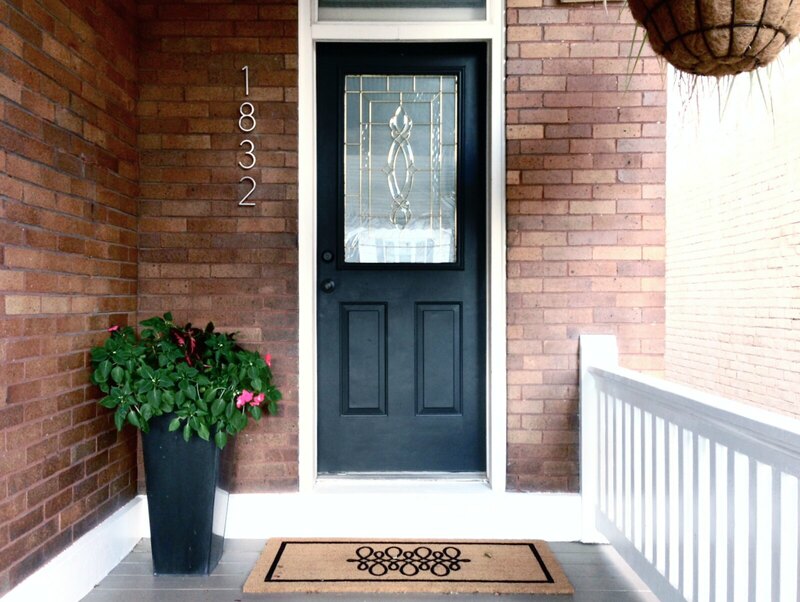 We’ve been told over and over again… the Cincinnati market (especially for sellers) is excellent right now. So we decided to look into it. The market is moving at an incredibly fast pace and demand is high—so high that it seems to be outpacing actual inventory available. I assume this perceived “lack of inventory” is making potential buyers antsy, causing them to move quickly and aggressively when they do find a place, all of which works in our favor. Fingers crossed! Through all of this, we’ve had to consistently remind ourselves of our long term plan when it comes to investments and income streams. Guess what’s not on our list? Rental properties. We did the rental thing for two years for this house because we felt backed in a corner. Our twins were about to be born, we needed a larger house and we did not want the stress of selling added to our plates. Our renter came to us and was ready to move in… we needed the comfort of that security at that time. But perhaps even a bigger note to make—renting actually keeps us from doing something we DO want to do and that is to dabble in the business of flipping houses. It’s hard to do that with a pesky second mortgage already on our plate. Perhaps the greatest upside to this whole thing is that we do have a decent amount of equity in our first home (although not enough for refinancing… see above… grumble). And me being me I already have that money spent! We have big plans to finish our basement in our current home (see my 2017 house goals), which will add a second living area (read: child-fueled destruction zone) and a bathroom. That will be huge for this house! And now it’s time to get to work! We have a ton of projects happening over there to spiff it back up and I’ll share all of that with you. We’re also going to stage the heck out of it on a super budget, something I’m excited to share more of once I’ve gathered all my goodies. My first house love is getting its final hurrah!